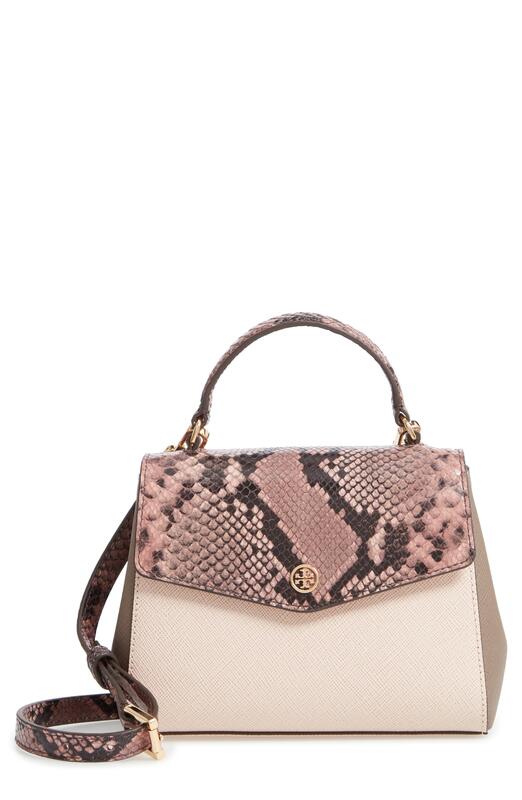 We check over 450 stores daily and we last saw this product for $342 at Nordstrom. 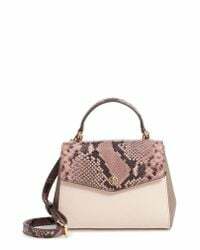 A snake-embossed flap adds an exotic flourish to a color-blocked satchel crafted from scratch-resistant leather and topped with a slim handle. Gleaming hardware adds a polished finishing touch, while an optional crossbody strap provides hands-free styling for the timelessly chic look.